Is your bank account feeling the heat? 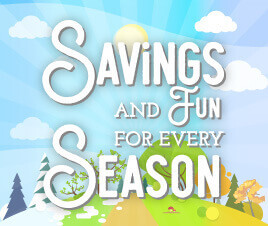 It’s time for another entry in the Save $3,700 Challenge, with more great ways for you to save! June is all about ways to save on heating and cooling at home, and as summer starts to heat up, there’s never been a better time to start cooling down your expenses.